Imogen's Typewriter. : Fiction Friday: #UKSummerBookSwap! About a month or so ago I saw on twitter that Hayley and Beth were organising a UK Summer book swap and I knew I had to get involved. I love swapping things and sharing books and meeting new bloggers, it's been lots of fun when I've done it in the past and this was no different! 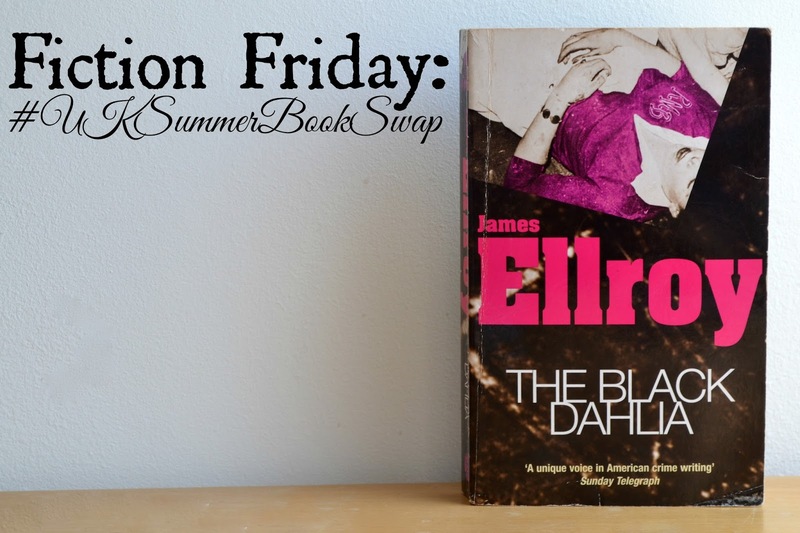 I received this book; The Black Dahlia by James Ellroy from the lovely Anastasia. It's one of her favourites and I'm really excited to give it a read because I haven't read a good detective novel in ages and this one if set in the 1947- Just like L.A. Noire! Thank you so much Anastasia! I hope you liked the book you were sent. If you have written a post about the #UKSummerBookSwap please leave me a link below! I'd love to read them!